CAGAYAN DE ORO CITY—President Rodrigo Duterte on Saturday, September 9, reiterated his commitment to rebuild Marawi City and turn it into a more progressive city. “I assure all investors and businesses in Mindanao that the government will do everything to make sure that Marawi City recovers and that it will rise again as a thriving and flourishing city,” President Duterte said during a speech at the Mindanao Business Conference 2017 here. “The government is now expediting preparatory works for the implementation of the Marawi City Rehabilitation and Reconstruction Plan to see to it that this will really happen,” he added. 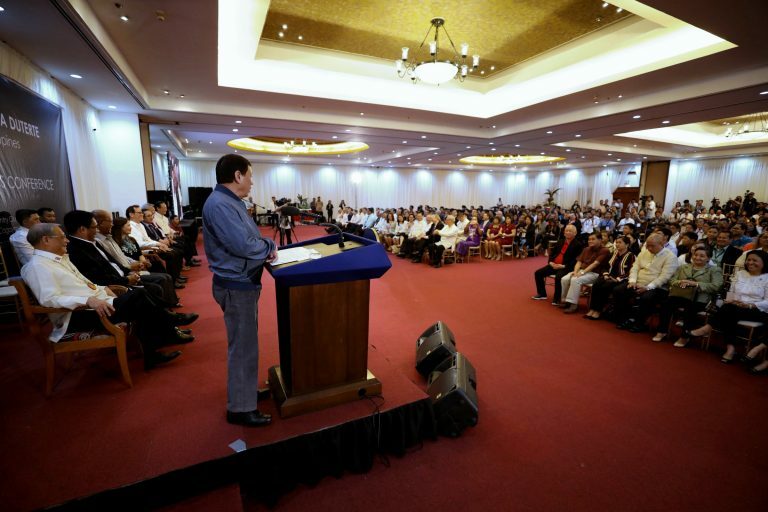 However, Duterte said that despite the administration’s ambitious plans for Mindanao and for the country, all of these will not succeed without the help and participation of the private sector. He then asked conference participants to continue supporting the government’s programs, adding that it will also continue listening to their inputs and suggestions. “With your cooperation and our people’s support, I am confident that we will create a more prosperous and progressive Mindanao,” Duterte said. The President said he is a firm believer in Mindanao’s great potential but the region must have the right infrastructure and sound business environment for its people to contribute to national development. For this reason, he said that his government is aggressively pursuing infrastructure projects in Mindanao. The administration has allocated funds to build structures to facilitate the transfer of goods and services as well as enhance mobility and connectivity. Key projects include the Mindanao Railway system, the Panguil Bay Bridge and the Laguindingan Airport development, which are in various stages of implementation. To secure Mindanao’s important role as the country’s food basket, it is actively providing assistance in the production of high value crops, and the development of agricultural products and marketing of its goods, he stressed. The Color-Coded Agri-Fishery Map is now available to the farmers to help them identify the most suitable crops for their farms. The President, however, said all efforts to promote business, trade and investment in Mindanao will be in vain if there is no stability and order, as well as just and lasting peace in the island. “That is why the government is intensifying the fight against illegal drugs, crime and corruption, even as it creates a more enabling and nurturing business environment in Mindanao,” President Duterte said. “The government remains firmly committed to wiping out local terrorists and other threat groups that continue to hinder our peace and development efforts, especially the ISIS-inspired ones who have attempted to take over the City of Marawi,” he added. 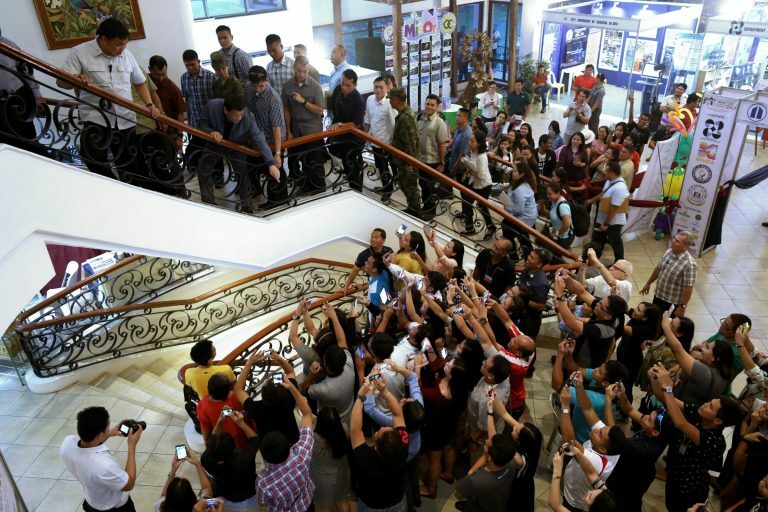 As part of his fight against corruption, Duterte said he will abolish one to three agencies in the coming days. These include the Road Board and the Sugar Regulatory Board. These agencies maintain consultants who receive high salaries. Around 600 business leaders from different parts of the country have gathered at the Xavier Sports and Country Club here in Cagayan de Oro City starting Thursday for the three-day 26th Mindanao Business Conference 2017 that focused on ASEAN integration. Among the participants were representatives from the European Union, Italy, and Russia. Russian Ambassador to the Philippines Igor Khovaev was also present. “Emerging Opportunities, One Mindanao” is this year’s conference theme.